Me SP & the Bean. : victoria day weekend. I've been slacking off a bit in the blogging department, but it's been a pretty tiring week with the ongoing back and forth from the hospital. So I know I'm a little delayed but I'll reminisce about the Victoria Day weekend. We didn't do much, but the weather was amazing and a dear friend came in all the way from India so we had a BBQ! 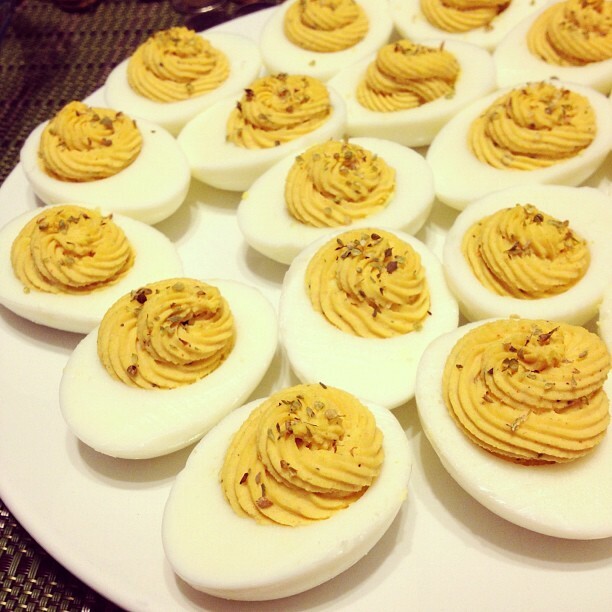 I couldn't contribute much but I made deviled eggs. I do enjoy deviled eggs... and they're so easy to make. Don't mind that my feet/legs looked like this. I know that no one wants to see my swollen, sans-pedicured, cankled, chubs that were previously my feet. It's just a record for myself. So I can look back on these times "fondly".